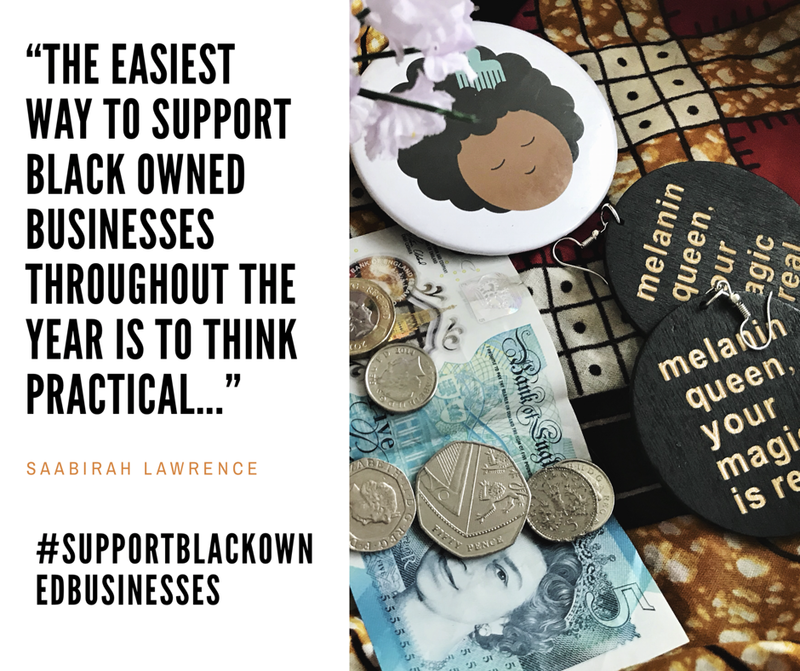 The easiest way to support black-owned businesses throughout the year is to think practical. Think about what you need and then find a BOB that can provide what you need. You can also splurge on some luxury items and things that aren’t necessitates. 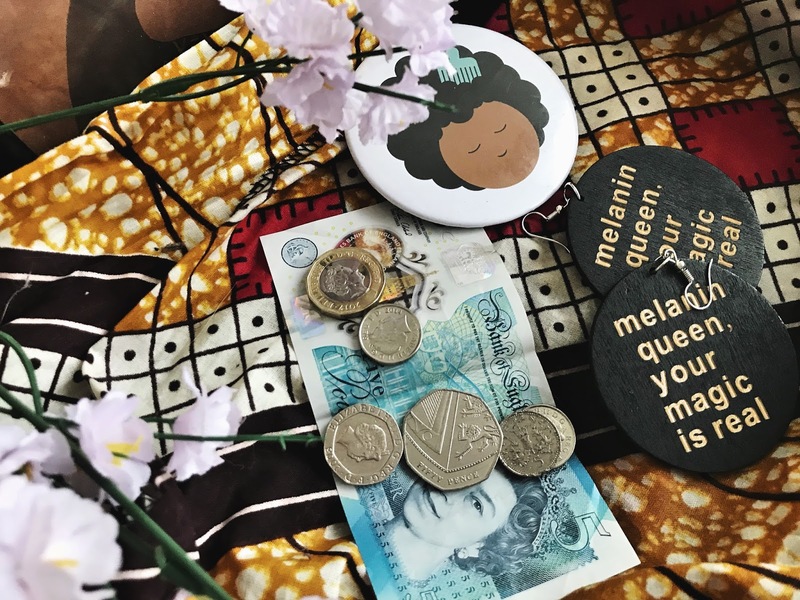 I have put together a list of black owned businesses you can buy from this spring. I have broken my list into four categories; health/hair & beauty, fashion/jewellery, Lifestyle and Food. 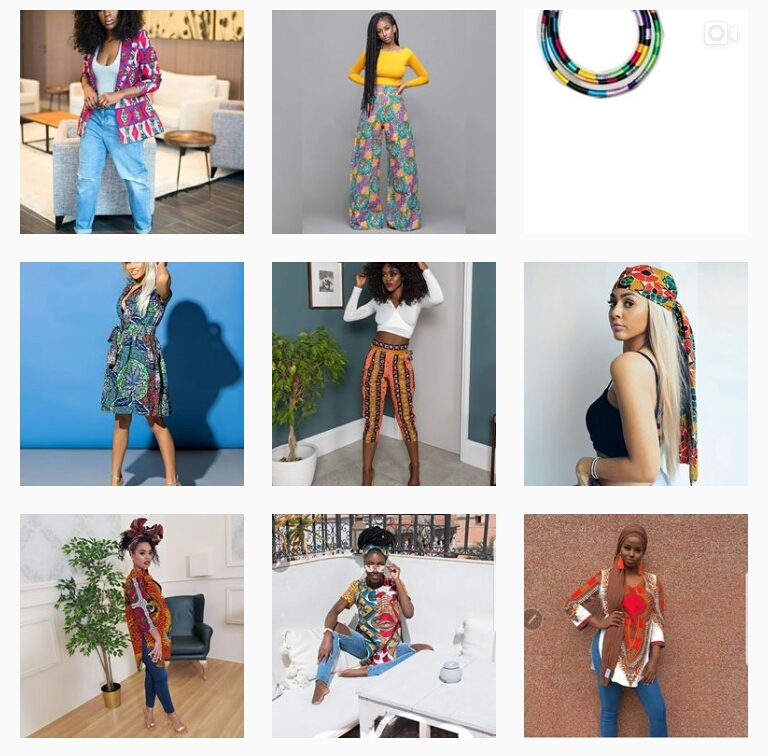 Dorcas Creates – If you’re not already following Dorcas Creates then stop what you’re doing and head over to Dorcas’s instagram right away. Dorcas Creates a wide selection of unique prints, gift cards, tote bags, stationary, pins and beautiful earrings. Jazz up your OOTD with one of Dorcas Creates Pins. Dorcas’s black and gold pins will go with just about any outfit. Grass Fields – I have been eyeing up Grass Fields for the longest, and I think a slight bit of sunshine calls for African printed wide leg culottes right? Grass Fields make the most beautiful jumpsuits, headwraps and jewellery. And to top it all off, their clothes go up to a UK size 24. Fittness with Kelechi – Kelechi Okafor founder of Kelechnekoff Studios is teaching pole fitness and twerk classes. Just watch one video and you will want to head to her studios this spring. If you’re looking for a fun way to keep fit you can find out more about Kelechi and her workshops/classes with her first Spring Showcase on April 7th. A way for you to see the woman herself and to see just what her students get up to. Pure Goodness – I need to make a trip to their store for a toner top up. I came across Pure Goodness at Curly Treats Festival last year and purchased their Aloe Facial Toner and I am running low. I want to try out some more of their skincare range. Pure Goodness store is located in Brixton, they sell a range of hair care, skincare and also sell a selection of raw ingredients like; argan oil, mango butter and shea butter. We always need moisturisers, hair care goodies and skin care products so why not support a black owned business whilst you stock up on your necessitates. Nylah – Nylah named after the Founder’s daughter is a newbie, but has already made an impact on the natural hair scene with her plant based natural hair products. They have a range of hair care and skin care products, their refreshing Peppermint and Poppyseed Soap is perfect for a fresh start to the new season.I have been preparing my hair for it’s spring appearance with a lot of deep conditioning. One of my favourite conditioners to deep condition with is from Nylah. I don’t have to leave their Super Botanical Conditioner in for long before it starts to work it’s magic.Did you see my mini review on my instagram? Deserted Cactus – Making me want to go vegan with the food Esme (@London_afro_vegan) be cooking up in the Deserted Cactus kitchen. Esme the founder of Deserted Cactus has a vegan eat in/takeaway spot in Peckham. If I am ever in the area I will be checking them out, and trying out some vegan dishes. I curious to see what their deserts taste like.As the spring season approaches we will no longer be filling up on starchy foods to keep us warm. I know cakes, pastries, lots of bread and chips has been my winter diet, hence the second chin, but let’s not get into that. You may not use the businesses listed, but hopefully it gives you an idea of where you can spend your money during the spring season and even after that.Get involved and comment some BOBs that you have been loving recently. You can find out more about the founder of Nylah where I interviewed her and a few other black women who own their own businesses here.